Karin, on Real Toads would like to see a love poem. I’m not big on writing lovey- mushy poems. (I’d sooner read what others have written). So, rather than wax lyrical about bleeding hearts, stars and moons – I decided to take a more pragmatic approach and explore one aspect of love itself. that love was more than a feeling? why didn’t anyone tell me that love never dies? Your poem made my heart sing …. 🙂 I’m glad you liked it! A beautiful poem. You can write s about love! Lol! It looks like I can! You cannot severe yourself from love… never. Very sweet poem, hope you are right. k.
So, because I’ve yet to finish my coffee, I had this mental image of love running around (all right, shambling around) like a zombie, grunting about brains and hearts. 😂😂😂😂🤣🤣🤣- You’re cracking me up! Smiling at Magaly’s comment. Your poem is true. Love never dies. Thank you Sherry! Magaly’s sense of humour is on fire! 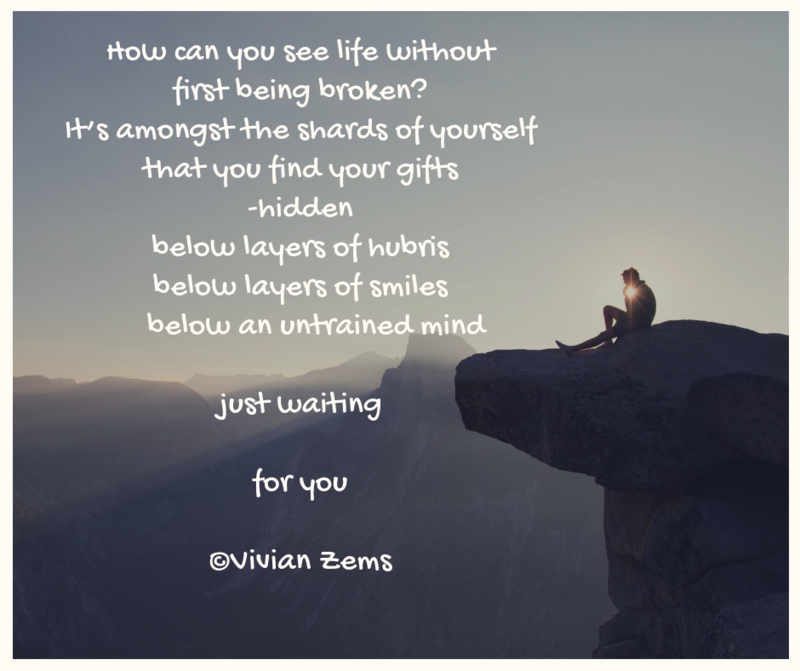 Vivian I love your take on love….yes we cannot sever those ties as love wraps itself around our hearts. Beautiful!! You’re definitely not mushy…yet, you describe love perfectly. So, true–it gets smaller, but rarely dies altogether–nice pairing of pieces! Well have a look! Vivian has written a love poem after all! You claim to not be into writing love poems, and yet you craft this brilliant ode to it, and you absolutely nail all aspects of it. That love which is “knitted deep within” cannot be renounced. I love how you define love as more than just a feeling.